UPSC published the link to download e-admit card (hall-ticket) for Civil Services Preliminary Exam 2017. All aspirants who had registered for UPSC Prelims 2017 can enter their registration ID to download the hall ticket. 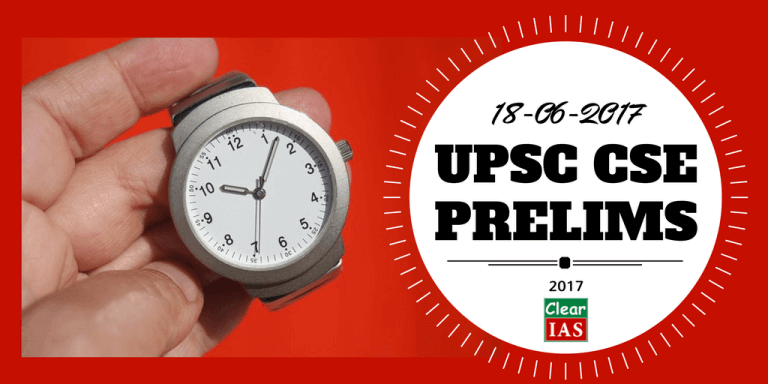 Take the print out of the admit card and be ready for the UPSC preliminary exam, which is scheduled on June 18th, 2017. Free download link of all important ClearIAS study materials is published. 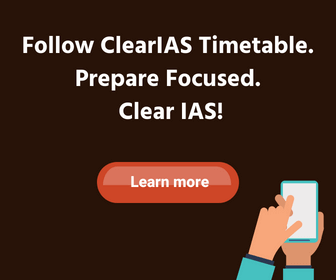 30 UPSC Prelims Model Tests are available now in ClearIAS mock test platform. Take the most out of these. All the best for UPSC CSE Prelims 2017! Date of Examination: 18th June 2017. Paper 1: 09.30 A.M. to 11.30 A.M.
Paper 2: 02.30 P.M. to 04.30 P.M. Candidates are advised to bring black ball point pen to the examination hall for all objective type papers. Answers other than those made by Black Ball Point Pen would not be evaluated. Enter the Examination Hall 20 minutes before the scheduled commencement of the examination. You will not be admitted to the examination if you report 10 minutes after the scheduled commencement of the examination. There will be penalty (Negative Marking) for wrong answers marked by a candidate in the objective type Question Papers. Check the e-Admit Card carefully and bring discrepancies, if any, to the notice of UPSC immediately. Candidates who do not have clear photographs on the e-admit card will have to bring a photo identity proof viz. Adhar Card, Driving Licence, Passport, Voter I Card etc. and two passport size photographs one for each session for appearing in the examination with an undertaking. Bring the e-Admit Card in each session to secure admission to Examination Hall. Candidates should note that any omission/mistake/discrepancy in encoding / filling in details in the OMR answer sheet, especially with regard to Roll Number and Test Booklet Series Code, will render the answer sheet liable for rejection. Read the “Special Instructions for candidates admitted to the examination” given in “Rules for the Examination” available in Examination Notice and “Poster” containing instructions displayed outside the Examination Hall. Mobile phones or any other communication devices such as Bluetooth devices etc are not allowed inside the premises where the examination is being conducted. Any infringement of these instructions shall entail disciplinary action including ban from future examinations. Candidates are advised not to bring any valuables/costly items and bags to the Examination Halls, as safe-keeping of the same can not be assured. The Commission will not be responsible for any loss in this regard. Candidates are advised to carefully read all the ‘ important instructions to the candidate’, which they have downloaded with this e-admit card from the Commission’s website. Note: Read, download and print important instructions to candidates for UPSC CSE Prelims. If you appear at a centre / sub-centre other than the one indicated by the Commission in your e-Admit Card, your answer scripts will not be evaluated and your candidature is liable to be cancelled. Orthopedically /Visually Impaired candidates, who have opted for their own scribe, may note that their own scribe will be allowed for the exam only with a separate e-Admit Card for such scribe. The e-Admit Cards for the own scribes will be issued separately. 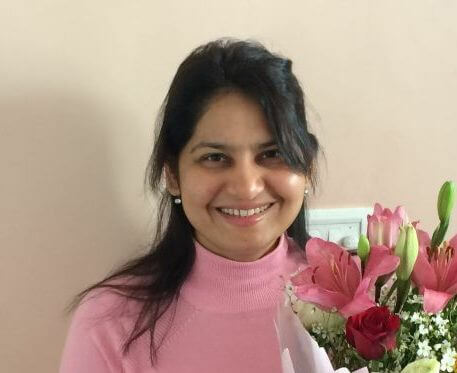 Did you face any problem downloading the admit card? In the case of any problem in downloading e-admit card for the Civil Services (Preliminary) Examination, 2017 or discrepancy noticed in the e-admit card, may please be informed in detail on e-mail: – [email protected] (For Technical Problem), [email protected] (For Applicant Data Problem).